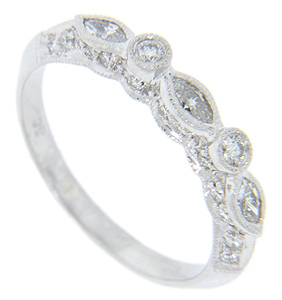 Marquis and round diamonds decorate the top of this 14K white gold antique style wedding band. 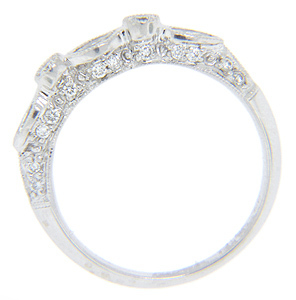 The wedding ring measures 3.3mm in width and features detailed designs on its sides and shoulders. Size: 7. We can re-size.